Indie filmmakers in or near Brazil may be interested to know that the Rock Horror in Rio Film Festival is now accepting submissions until March 1st. The festival is now receiving both short films and feature films for the 2019 season. Continue reading for more details. Also in today's Horror Highlights: DVD release details for Matriarch and screenings for the anthology series Horrors of the PNW. Rock Horror in Rio Film Festival Call for Entries: "The Rock Horror in Rio Film Festival is accepting submissions until March 1st. Our huge Halloween-themed pajama party takes place in two of the most interesting and hip locations of these cities, the Reserva Cultural Niterói and São Paulo. For 2019, we’ve already received submissions from countries such as Brazil, Spain, US, France, Iran, Israel, Japan, Sweden, UK, Arab Emirates, Holland, and Russia, we want to receive amazing films so that selection this year will be even more electrifying than the last. On top of that, the public can participate in the roundtables: Special Effects and Makeup for Horror, Script, and Production for Thrillers with the participation of the industry professionals invited to give these workshops. Matriarch DVD Release Details: "When the victims of a car crash stumble upon a farmhouse, miles from civilization, they think they’re safe, but the farm’s strange inhabitants have other ideas in Matriarch, arriving on DVD, Digital, and On Demand April 9 from Lionsgate. Charlie Blackwood, Scott Vickers, Julie Hannan, and Alan Cuthbert star in this chilling horror film that Vickers also wrote and directed. 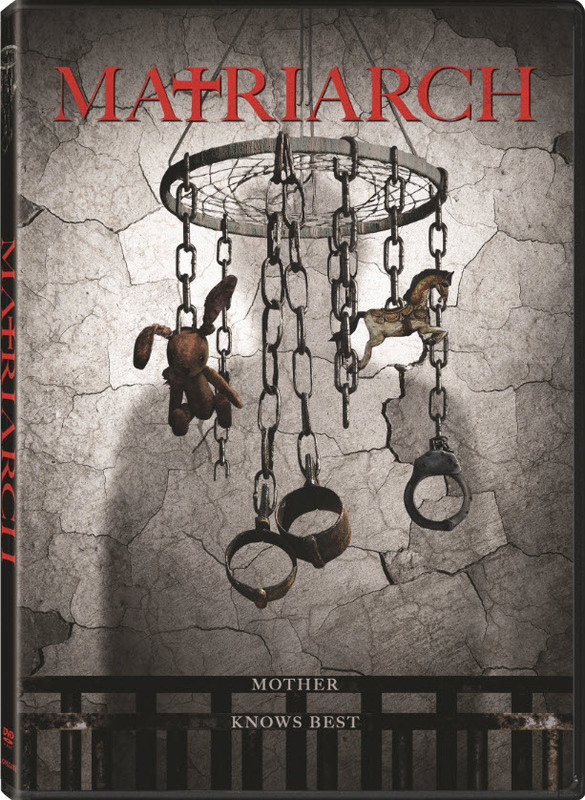 The Matriarch DVD will be available for the suggested retail price of $19.98. This terrifying thriller unfolds as pregnant Rachel and her husband, Matt, are stranded after wrecking their car on a remote Scottish road. Though hostile at first, a nearby farmer and his wife welcome them in after learning that Rachel is with-child. Suddenly, Rachel realizes the family’s “daughter” is a local girl who’d gone missing years before, but when she and Matt attempt to escape, they’re held at gunpoint—just as Rachel goes into labor. Will their child’s first day on earth be the couple’s last?" 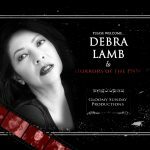 Horrors of the PNW and Screening Details: Press Release: "Gloomy Sunday Productions is pleased to announce the upcoming release of the sixth installment to Horrors of the PNW. The film anthology series pays tribute to indie filmmakers with debuts screening at Crypticon Seattle every year and is hosted by Zee Monsta, hostess persona by Michelle Nessk. The new installment and the year ahead focuses on the power and strength of women with two notable segments starring Barbara Magnolfi (Dario Argento’s Suspiria), Scream Queen Debra Lamb, Michelle Nessk (O. Unilateralis), and Tonjia Atomic (Manos Returns). With filming wrapped over the last week, the films are now in post-production with an Indiegogo campaign launched and running for the next month. The first segment included in Horrors of the PNW Vol. VI follows two sisters as they enter the heart of Las Vegas nightlife... the dark nightlife underworld, that is. The bizarre sequence of the trip faced by the sisters is filmed as a found footage movie and stars Debra Lamb, Michelle Nessk, and Tonjia Atomic. 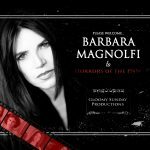 Barbara Magnolfi joins Michelle Nessk in this dark telling of an unconventional relationship between a mother and daughter. Barbara also joins the project as Associate Producer for this segment. Set design by Heidi Moore. FACEBOOK | INSTAGRAM | INDIEGOGO"